For most this will be one of the most astonishing, remarkable and enjoyable piano events you have ever seen or heard! 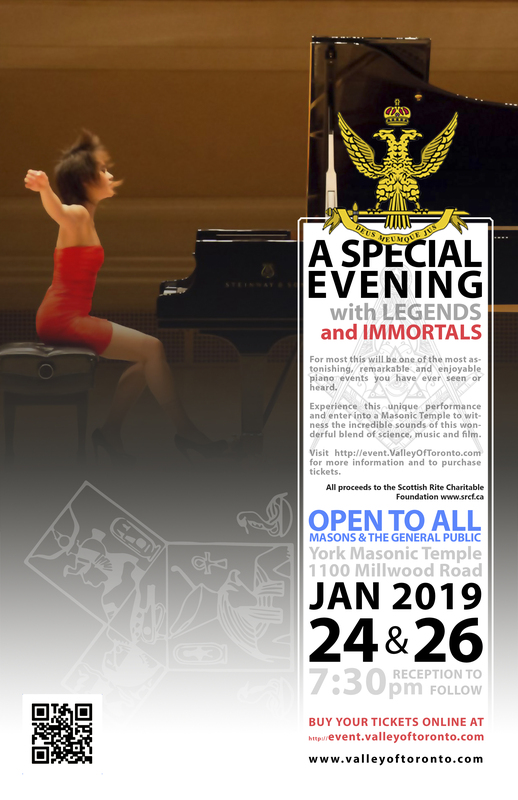 Experience this unique performance and enter into York Masonic Temple, and take in the sights and incredible sounds of this wonderful blend of science, music, and film performed within the lodge room. Experience some of the legends of the piano world performing as if they were live in concert. Steinway’s Spirio technology allows you to enjoy many greats of the piano world on film as they are perfectly synchronized with a Steinway Concert Grand piano that precisely measures virtually every nuance of their touch and timing. Although this event would usually be closed to the public, the Valley of Toronto would like to give its members as well as families, friends and the public a unique opportunity to experience this performance in the York Masonic Temple. Large enough to hold this event, but intimate enough to not have a bad seat in the house, tickets will be extremely limited and will sell out fast. If you enjoy piano or unique audio/visual experiences, the quality and intimacy of this performance within the acoustics of the lodge will not leave you wanting more. Come experience re-performances by the likes of Glen Gould, Vladimir Horowitz, Bill Evans, Art Tatum to name a few. Tickets are also available to be purchased through the officers of the Valley of Toronto Grand Lodge of Perfection or Sovereign Chapter Rose Croix. For a list of these officers ,you can visit www.valleyoftoronto.com and click the appropriate body on the left. You can download a copy of the above poster for distribution to your members or printing and posting wherever you like here. The Valley of Toronto is a jurisdictional body formed to serve the Greater Toronto Area Masons. And is open to any Master Mason in good standing. 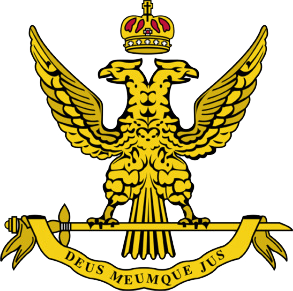 It is under the jurisdiction of the Supreme Council of the 33’rd Degree of Ancient & Accepted Scottish Rite of Freemasonry of Canada, and provides two of the three bodies within the Scottish Rite being the Toronto Grand Lodge of Perfection and the Toronto Sovereign Chapter Rose Croix.